Having lived in Vietnam for eight years straight, and coming from the Valley, I had the privilege of watching the brands of Vietnam evolve. I remember, when I first came to Vietnam in the early 1990’s just barely. But one thing I do remember is that jeans were somehow a mark of tourists. If you were wearing jeans, clearly you were a foreigner. Ha Noi and Saigon were still innocent. That also meant the brands were innocent. At the turn of the millenium though, things started to shift. The “Doi Moi” (the Vietnam’s government attempt to embrace market economics) policy slowly kicked into gear and I distinctly remember coming back and two companies were at war: Duc Phat and Kinh Do. And another interesting company seemed to be the pride and joy of my aunts and uncles: Trung Nguyen. Within a few years period (I traveled back to Vietnam every year in the early 2000’s), it seemed like the number of Duc Phat and Kinh Do bakeries exploded onto every street corner of Vietnam. It hinted at a latent merchant mentality. And a fierce, almost guerrilla competitiveness that I can’t say I’d seen in the States. It also underlined a new sensitivity to branding. It seemed to me that Kinh Do and Duc Phat knew how to keep their brands clear and consistent, their colors uniform, their customer service consistent, and their quality consistent. Trung Nguyen was another side of the picture. Although Trung Nguyen isn’t hip like it was ten years ago. At the heart of the story was a Vietnamese doctor who sampled coffees across the country and turned them into his signature Trung Nguyen catalog. People were so proud when Trung Nguyen was reportedly opening a branch in Japan. But these were early days. Vietnam was still “young”. It was an era when people only just started saying “this country has so much potential, young population, growing economy, etc.” We’ve heard it over and over again as Vietnam sluggishly lurched into the twenty teens. 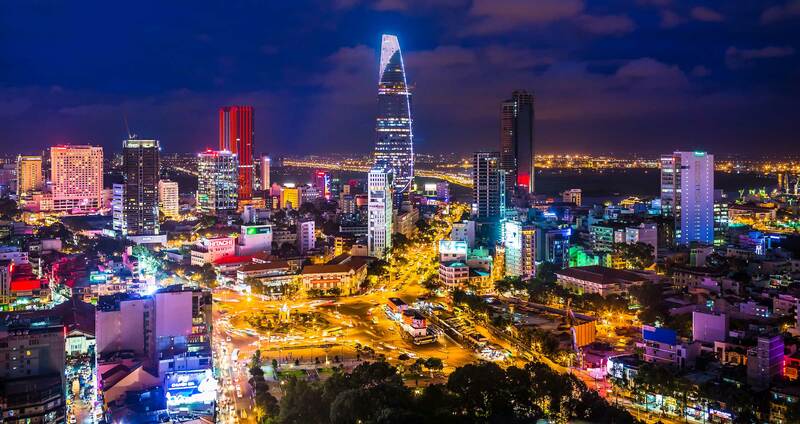 Now that it’s 2016, you can see a whole new generation of brands emerging out of Vietnam. Trung Nguyen is now old hat. Phuc Long, Marou chocolate, Pasteur Street Brewery, and more represent the vanguard of a young group of entrepreneurs that know design, studied abroad, come from middle class backgrounds, understand what is somehow essentially Vietnamese, and maybe sometimes have foreign founders. Although the streets are still lined up with ugly typefaces and signs, it’s mixed in with a healthy batch of minimalist hipster brands that get at the heart of a Vietnam that was influenced by Americans, French, and Chinese elements. In many ways, this is why Vietcetera came into being. It’s part of our manifesto, we want to ride the wave of hipster Vietnamese brands. But at the same time, we’re intrigued by this emerging new class of designers, marketers, and business people that might be lifting Vietnamese cities out of ugliness. Okay. We get that there are some emerging brands. We get that there are more keyed-in Vietnamese entrepreneurs. But where is it all headed? I think this is the more exciting part of the story. It seems to me that Vietnam is of the more isolated Southeast Asian nations, it could be the culture, the politics, the history, or whatever. But it seems to me that Vietnamese are more insular. And yet their ambition to build large money-making companies requires that they must internationalize at some level (or diversify locally). Are the brands marketable internationally? Are they able to make that step into the spotlight on the world stage? Is there a modernization happening? There are companies that operate in Vietnam that don’t even want to be associated with Vietnam. They want to be known as Singaporean and American brands. It’s a normal affair. Companies across the region don’t want to be associated with their country’s because of the connotations it brings. Other companies are deeply proud to be Vietnamese. I think, in part, this may be about how we see and understand Vietnam as a brand. What does Vietnam represent? Internationally, most people think of the war, it’s a hard act to follow such an international incident. But I think we’re seeing the seeds of something exciting about an “essential Vietnam”. Vietnam exudes upstart underdog. It has a rough-on-the-edges hipster quality. It’s street smart. It’s politically stable yet deeply complex. It’s always on the cusp of potential, which in itself is a kind of aloof hope (or desperate hope). And ironically, it’s more international. This isn’t the case for Vietnam. Vietnam is raw. People are always crashing into each other even when they’re not supposed to. Even when the forces of culture and nation restrain them. And that, I would say, is the seed of a country brand that is profoundly unique. It’s not a hidden charm (Vietnam’s tourist slogan). Charm isn’t a word that captures Vietnam. Vietnam just isn’t that innocent and clean. It’s not pure in that sense. Vietnam is beer, it isn’t wine. And I think you’ll see a seed of that in many of Vietnam’s rising brands. It’s no joke that Vietnam’s national flower is a lotus. After all, what is a lotus? Supposedly, the historical Buddha chose the lotus because it symbolized something beautiful (or in his case, pure) coming out of the mud and dirt. Vietnamese companies are these new branded lotuses rising out of the muck and mud of Vietnam.